Do we take them for granted? 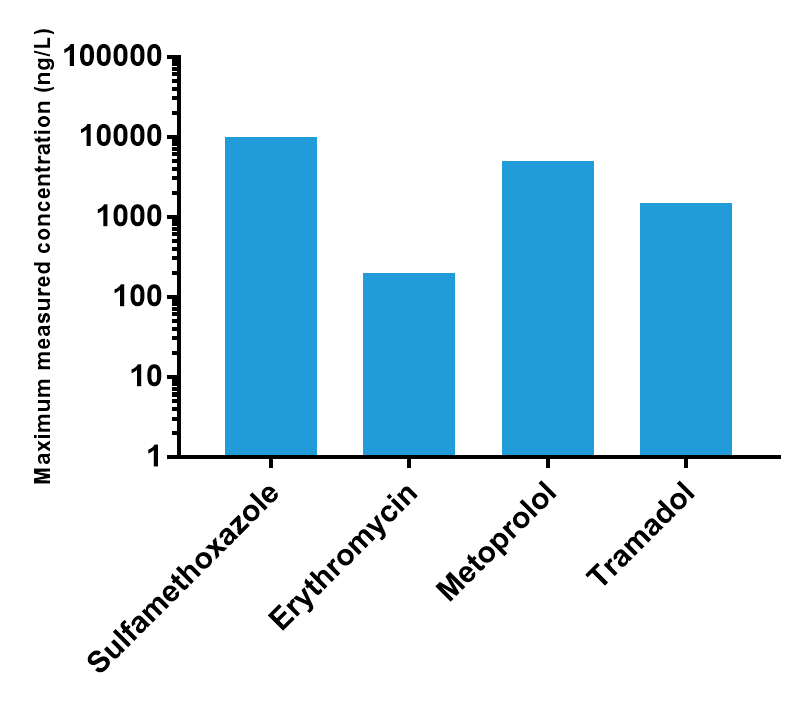 Concentration of different pharmaceuticals in river water from the Baltic Sea region, data in Zandaryaa S. et al. (2017). Emerging Pollutants in Water Series Vol. 1. UNESCO and HELCOM. Water is a vital natural resource that is indispensable for the preservation of life on Earth as we know it. Over the last decades, however, we have witnessed an alarming rate of deterioration in the quality of water. This is in part by pharmaceutically active substances such as antibiotics. "When the well is dry, we know the worth of water." The accumulation of pharmaceutically active substances in water bodies is concerning. There are two main detrimental consequences: ecotoxicity (i.e. ecological disturbances in aquatic flora) and potential development of antibiotic resistance in pathogenic organisms. 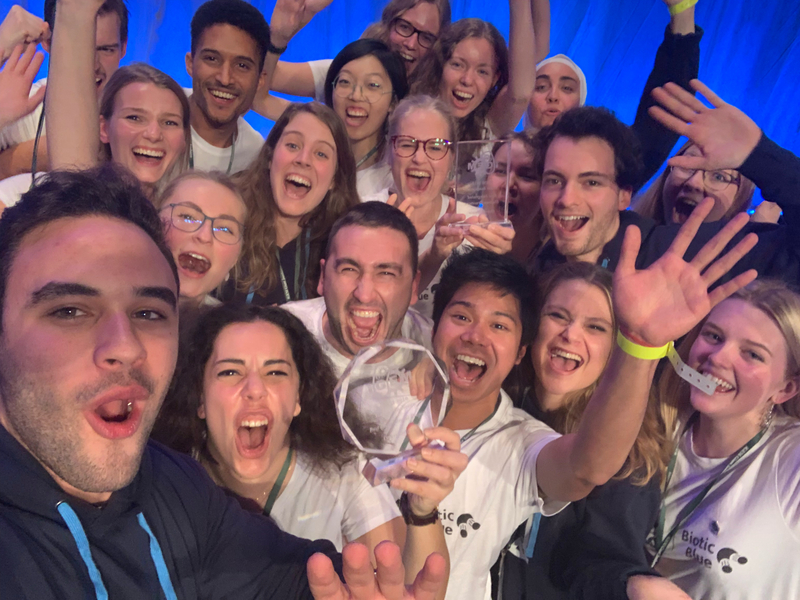 Our main goal was to create a tool that could degrade the most prevalent antibiotic found in the Baltic Sea, sulfamethoxazole (SMX). 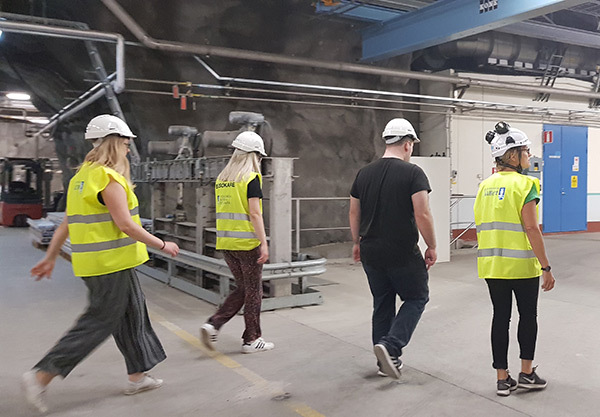 Our team visits the Henriksdals wastewater treatment plant, located in the heart of Stockholm. Tackling this problem struck us as a great opportunity to contribute to sustainable development for two reasons: the importance of maintaining high-quality sources of clean water in our community, and the health concern of exposing non-pathogenic bacteria to consistent low doses of antibiotics which may contribute to the soaring of antibiotic resistance. Synthetic biology provides the means to design engineering solutions by adapting the most complex machines on Earth – biologic organisms. Beyond the scientific and engineering aspect of our project, we strive to engage and educate different sectors of the local and general population by using pedagogical and interactive media. We raised awareness about the problem and we consulted with experts and organizations in the environmental and wastewater treatment fields. Interactive model of our enzyme, click to move it or scroll to zoom in/out. We set out to tackle this issue by producing an enzyme called laccase capable of inactivating sulfamethoxazole, and possibly other antibiotic compounds. The enzymatic removal of pharmaceuticals from water has proven to be a promising approach according to the literature. We combined the power of the laccase with a retrievable magnetic carrier material. The implementation of rational enzyme design is one of the unique aspects of our project. We aimed to optimize both the docking of the substrate to the active site, to decrease the activation energy of the reaction. Read more about our Modeling work here.